For the latest happenings, please visit the news section. The Phil Wicks Driving Academy is the most comprehensive and focused performance driving center of its type in the world. 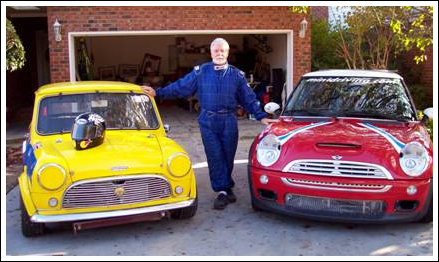 Benefiting from Phil Wicks' 50 plus years of small car racing, he has developed a driving academy squarely specializing on the performance and every day driving challenges faced by smaller cars, particularly in big vehicle dominated United States. Founded in 2002 as the Phil Wicks MINI Driving Academy, in 2011 with the market expansion of numerous new entries into the small car market, Wicks expanded his curriculum to include other recent small car entries into the U.S. market, particularly the Fiat 500 and Abarth variants of the new Italian import. If you drive a small car in America, you need to attend the Phil Wicks Driving Academy. Whether you are looking for performance driving improvement, or more simply a means to increase your driving confidence in a big car world, you will benefit from insights and personal instruction of one of the world's premier small car racing experts, Phil Wicks. 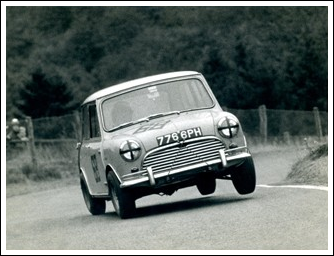 Phil Wicks has been a racer for over fifty years and currently campaigns a classic Mini in vintage racing competition. He was racing Minis from the beginning but also was a works driver for Radbourne Racing driving Mini Coopers as well as Abarth race cars. Now the world goes full circle with Wicks offering on-track driving instruction for Novice, Intermediate, Expert and Racing students in both MINIs and Fiat 500s as well as other "small" car models. If you want to upgrade the overall performance of your small car, look no further than Phil Wicks Driving Academy. Phil will guide you through each stage of performance capability and provide key input for driver improvement and safety. Combined with Phil Wicks on track instruction either through a Phil Wicks Driving Academy event scheduled at any one of various racetracks or a "One on One" with Phil Wicks, you'll learn from the expert and gain from his unique background. More than 10,000 drivers have graduated from the Phil Wicks Teen Accident Avoidance curriculum, the Novice track driver, the repeat track day driver, and Expert and Race qualified instruction. We encourage you to bring your small car out for a spin at one of our upcoming events and experience for yourself the benefits of small car driving along in an environment exclusively specializing in small car excitement. A full service facility is also available for sales and service of upgrade performance parts -- everything from minor upgrades to full race car preparation.